A big ol’ HOW DO YA DO?! Thank you for your interest in H.O.W.L. Wellness center. My name is Dominique Rivera. I am an Ordained minister, Reiki Master/Teacher, IET practitioner and crystal enthusiast. After nearly a decade of dedicating my life to the US. Army I decided I wanted more. I felt worldly in my travels but never really connected. In 2009 I started devloping ailments. I was lethargic I was always sick. I lost about 70 pounds. NO one knew what was wrong with me. I had a gaul bladder surgery because they had no answers, so we went on a limb to see if that would fix me. It bandaged me for a little while. It wasn’t until 2011 that left me bed ridden for 3 weeks without being able to move or feed myself that led me down a path of doctors and prescribed synthetic medicines. The medicines never helped. I was at rock bottom. I could barely talk. I felt like I was going to die and then I did something, something that seemed extreme to me at the time. I prayed. I said whoever is listening. Its OK if I stay like this as long as I can find ways to help other people and my family so that they don’t have to suffer. I was willing to whole whole heartedly bear the weight. I come from a family that is no stranger to illness. My sister being extremely Ill- mother-and brother. Then suddenly my father got injured and could no longer work. Then lastly the one who keeps everyone together, I get this unknown thing that debilitates me. I didn’t care if I kept every ounce of pain I just wanted someone to help my family. I needed to help my family. It wasn’t long after that unusual things began to happen. The day that that I “awoke” came and I started seeing this green free form of light in front of me. It was days that it would just appear out of no where. I told my mom about the experience and fearing the worse she says that some people with brain tumors have stated they would see lights. Being a mom, she tells me to go get checked out. Yet, I never got the impression it was something bad. A few months pass of doctor visits and no explanation. Once this light began to emerge, I found energy, I felt better and I felt motivated to find something, but what it was exactly was still unknown to me. Yet, a deep urge was there. It got into my head that I needed to be healthier so I started on a 2 week fast because I just had this urge inside of me wanting to be healthy. As the days of this fast came and went. I started experiencing shinning glimmer type of lights. They look like silver confetti catching the light. So I started to do some research. After what seemed like a needle in a haystack answer I found they were angels. Not any angel, but arch angel Raphael. Im reading into all of these experiences and its starting to click. Not me, I thought I couldn’t possibly be worthy of such a thing. After all I was nothing special, im not a church goer, I dont particularly follow religion. Time passes and I got gifted this book about healing angels (although I knew nothing of them and this experiece had remained private) In the book it touched base maybe less than one paragraph about Reiki. The next time I ventured out of my home, only a few blocks away I see a marquee sign that says REIKI TONIGHT. What were the odds?! I went to receive my first Reiki session, and well the rest is history. That was the first time I listened to the signs. Literally! and years of gentle guidance and hard work has led to now. There’s these four walls that so much beauty happens inside of. The best part is that you get to take it home with you. I am beyond humbled by the experience and I want others to feel that. 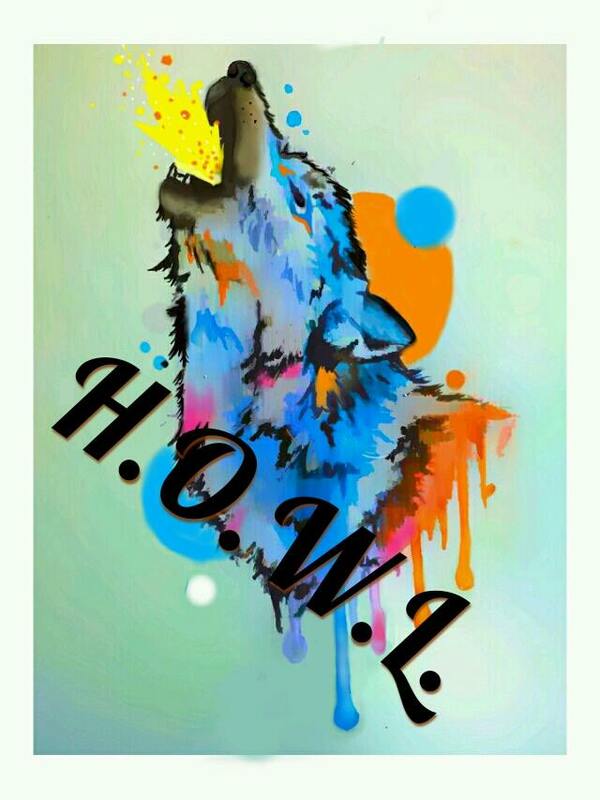 HOWL has an amazing story on how it came to be and I would love to tell it to you sometime. This is more then a space, its an opportunity its the second chance, its the shift. Choosing to begin looking into who you really are. Its a life changing experience. Its not always easy but very much worth the work. The thing is you don’t have to do it alone. As a matter of fact, you looking at this page right now means you are ready. We are here to give you a space you can take the time to express who you really are, we are on the inward journey to the essence and beauty of all that you are and all that you could be.